The first superhero book from Yoe Books/IDW! Over 500 pages, this ginormous tome is as thick as a brick and filled with tons of rare, full-color, never-before-reprinted comics! It's the most bizarro, wacky, wild, astonishing, eye-popping, jaw-dropping, book... EVAH! It's loaded with beyond-belief "WHAT TH'?!?!" moments! Wait till you tell your friends what you discover in its pages! 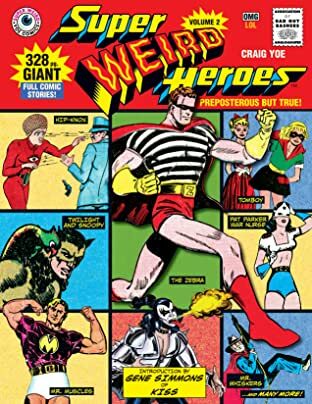 Super Weird Heroes will make you laugh, cry, and be immensely entertained! 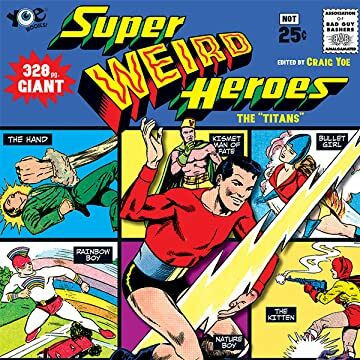 You're going to witness Public Domain superheroes like The Hand (yes, he's a giant hand), The Eye (you got it—he's a yuuuge eye), The Bouncer (this super-hero-in-a-skirt's power is bouncing)! 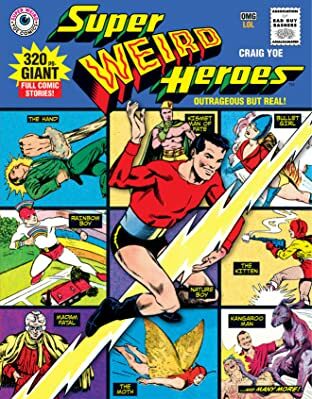 And this is just a small fraction of the Super Weird Heroes you'll experience in this must-have book—there are over 65 super weird heroes in all!